What happened to all those biblical figures once the Bible was finished?We've all heard it said: "According to early church tradition Peter was crucified upside down," or "Paul went to Spain." Did Thomas found the Indian church? Or did Mary live in Ephesus? Were the twelve disciples all eventually martyred? Where do these ancient traditions come from, and how historically reliable are they? What is meant by the term "early church tradition?" After Actsopens up the world of the Bible-right after it was written. 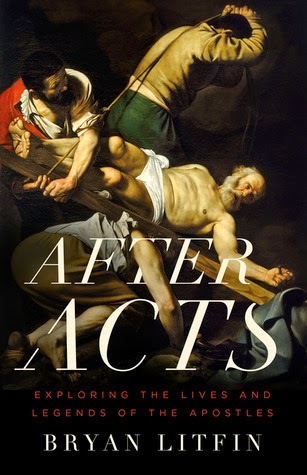 Follow along with New Testament scholar, Dr. Bryan Litfin as he explores the facts, myths, legends, archaeology, and questions of what happened in those most early days of Christianity. Thank you to NetGalley for providing me with a copy to review!